Is Whitney Houston Lesbian ? Whitney Elizabeth Houston was a talented singer, actress and model, best known for her songs like, I Wanna Dance With Somebody (Who Loves Me), I Will Always Love You, The Bodyguard and many more. As of 2009, she was cited the most awarded female act of all time by Guinness World Records. She was born to Emily Houston, a gospel singer and John Russell Houston, Jr, Army serviceman and entertainment executive. 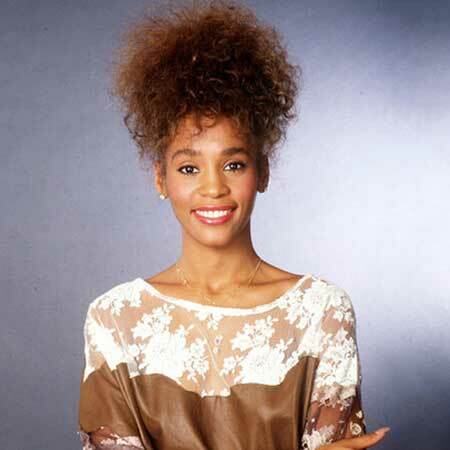 Whitney Houston was born on 9 August 1963 in Newark, New Jersey. She was the daughter of gospel singer Emily "Cissy" (Drinkard) Houston and John Russell Houston, Jr. Both of her parents were African American. She studied at Mount Saint Dominic Academy. As a teenager, she was highly influenced by the music of Gladys Knight, Roberta Flack, and Chaka Khan. Houston released her debut album Whitney Houston working with Jermaine Jackson, Michael Masser, and Narada Michael Walden in February 1985. Her two studio albums, Whitney Houston and Witney peaked at no. 1 on the Billboard 200 in the U.S.
Rolling Stone magazine called her "one of the most exciting new voices in years. She made the Guinness World Records being the most awarded female artist of all time. She was one of the best-selling music artists of all time selling over 200 million records worldwide. All of her soundtrack albums and seven studio albums have been certified multi-platinum, platinum, diamond or gold by the RIAA. Houston was in $20 million in debt when she passed away in February 2012. Houston was previously married to Bobby Brown in 1992. The couple has a daughter named Bobbi Kristina Brown. The couple divorced in 2007. She performed with Kelly Price on stage in Hollywood, California and sang "Jesus Loves Me" which was her last performance before her death. She was found unconscious in Suite 434 at the Peverly Hilton Hotel on 11 February 2012. She was submerged in the bathtub. The way she died was listed as an accident. Edward Regan "Eddie" Murphy is a comedian-actor, writer, singer and producer, who dated Houston from 1980 to 1983. An American singer, bass guitarist and composer, Jackson is one of Houston's boyfriends. The two stayed in a relationship for almost 2 years. Former American footballer, Cunningham started dating Houston in the year 1985 until they decided to break up in 1987. William Ray Norwood, Jr., aka 'Ray J', is a singer, songwriter, record producer and actor. The two stayed in a relationship from 2007 to 2012. He is the ex-husband of Houston, who is a R&B singer. The two first met at the 1989 Soul Train Music Awards. She was the only child of Houston, who died sadly on July 26, 2015.